There are three ways to join our family in our preschool at home efforts and all three are included in this post about the Letter F.
Here I am sharing 5 FREE Preschool Worksheets for Preschool Alphabet Letter F. It’s a sample pack from our family’s preschool at home program, Visual Montessori, based upon the 12 sensitive periods as outlined in Montessori. When you think of preschoolers and the letter F, two fun words to emphasize are “family” and “friends“. 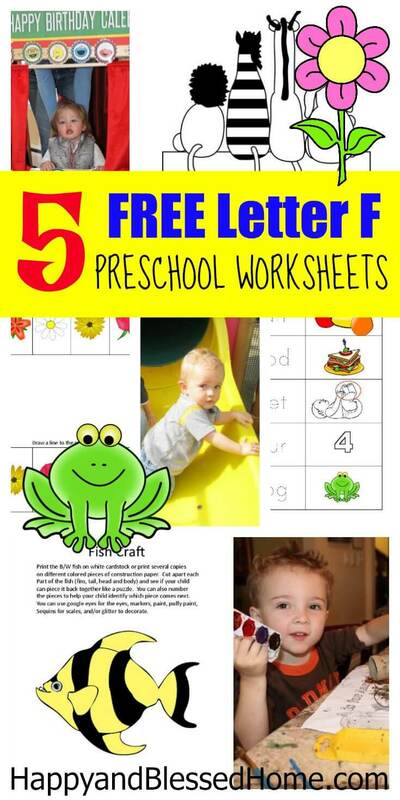 If you enjoy the FREE 5 Preschool Worksheets for Preschool Alphabet Letter F, you may also like the entire Letter F Printable Pack, it includes 30 activities focused on learning the letter “F” and short words that start with the letter “F”. 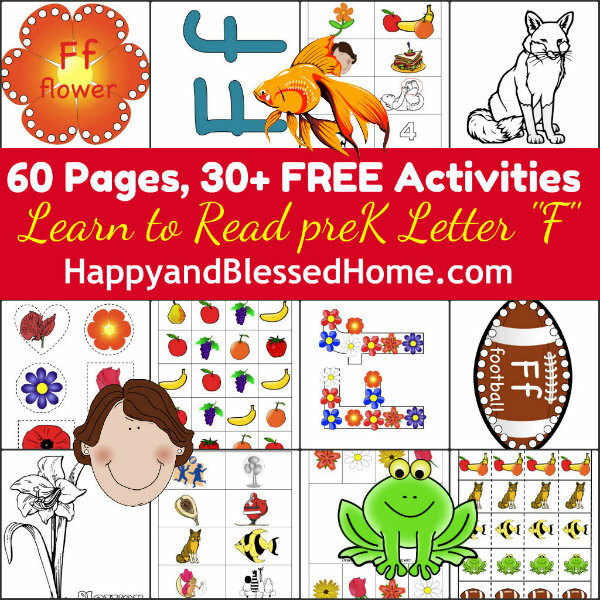 Click here to purchase the entire 60 Page Letter F Printable Pack for Preschool. To download your free copy of this 5 FREE Worksheets for Preschool Alphabet Letter F with 5 fun learning activities for preschoolers to help them learn about the Letter F. Simply click the yellow button below. 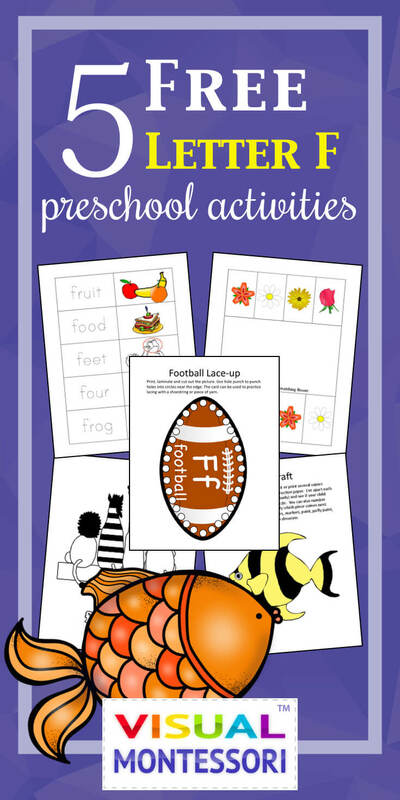 We’re on the letter “F” this week and I’m super excited to share with you a set of 5 FREE Preschool Worksheets taken straight from my larger printable pack that is 60 pages with over 30 FUN activities for preschoolers. In addition, if you’ve been following my blog then you know I supplement our activities with Gods Little Explorers. It’s a wonderful preschool curriculum designed to help you take your preschooler through the bible with easy fun activities appropriate for a preschool-aged child. To learn more, click on: Gods Little Explorers. Also, this week I’m featuring a new teaching tool – Beginning Language Roll and Learn Pocket Dice from Carson Dellosa. I have two active little boys and keeping their attention can, at times, be a challenge. That’s why I love tools like this one. Its easy to roll the “dice” and have some fun. Carson Dellosa offers a vast array of tools for teachers and homeschoolers. I contacted them to see about using some of their products for my at-home classroom and they were excited to learn about my blog and offered me some free products if I would write about them. I picked the products I wanted to try and voila’ – you get an added benefit because letter F printables will now include cards to add to the games you can already do with these pocket cubes. I’ve included an affiliate link here via Amazon for your convenience: Beginning Language Roll and Learn Pocket Dice. 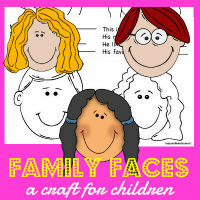 And, make sure to check out my “All About My Family” FREE Faces and Family Portraits book craft that I published earlier on the blog. It’s a perfect way to enjoy time together as a family – learning about all the members of the family and creating fun-loving portraits of them. If you’re a subscriber, my FREE Farm Animals printable pack is perfect for letter “F” week. “Farm” is a high frequency word for emergent readers. I also created a pattern for a FREE Go-Fish game. You can create your own at home with some paper, paper clips, some string, a stick, and a magnet. I posted a video tutorial here: Go Fish Game. My goal is to create a PINTEREST board for each letter of the alphabet. Follow me on Pinterest if you want to get copied on all the resources and ideas that I discover via Pinterest. What’s Inside the Complete Letter F Printable Pack? My boys love to roll the cubes and stack them with other blocks. We have had a blast with these cubes. The letter “F”printable pack includes cards for action words like flap, fill, fit, and fix and body parts like finger, foot, face and funny-bone. Just imagine asking your child to flap their funny-bone – giggles for everyone! You can purchase the entire pack at TeachersPayTeachers here: 60 Page Letter F Printable Pack for Preschool. Letter F with flowers and footballs – There are two lace up cards – one with a flower and one with a football. I did the same thing with the create-a-letter craft. I wanted to make sure I created printables that were fun for both boys and girls. Aww these are really cool! I’m downloading them right now thanks so much! I love learning materials like this to share with my kids.